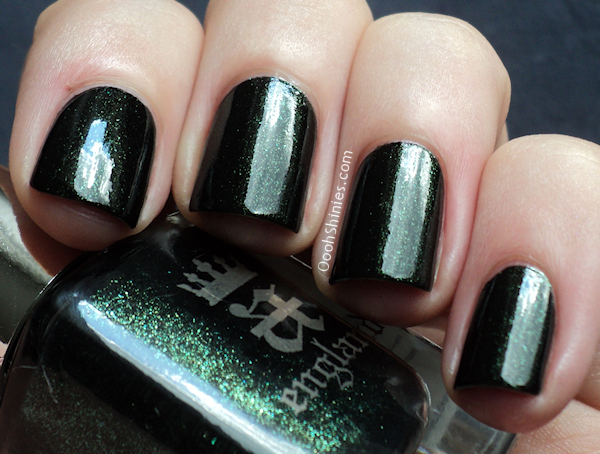 Heyhey :) When I got back from my trip the new Gothic Beauties collection from A England was waiting for me, and today I have the review of them. To be honest though, I've dreaded this review because I just couldn't capture these polishes well and I'm not happy with how my swatches turned out. They deserve a lot better, but I tried it several times now, maybe I'll be able to capture them in a while. And the harder I tried to capture the shimmer now, the more pale my skin looked on the photos. But let's just say that adds to the gothic feeling, lol! 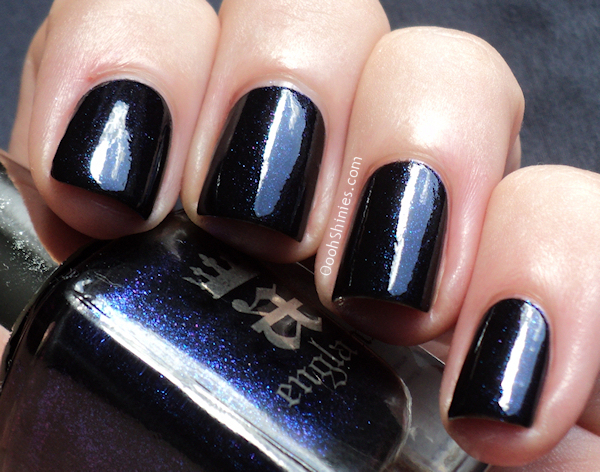 Anyway, most of the polishes in this collection are near blacks, in some light they do look pretty much completely black as well. 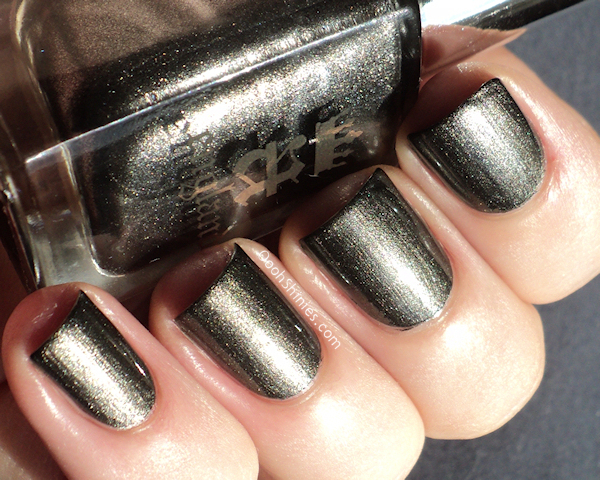 But when the light hits them... these shimmers are absolutely gorgeous! I've used 2 coats of each with top coat for my swatches. 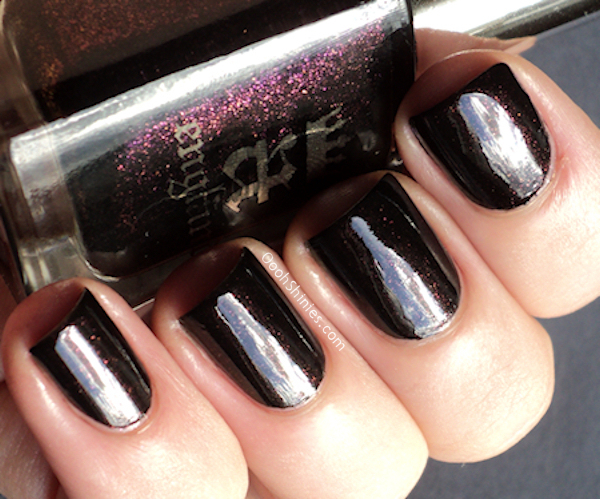 Jane Eyre is one of the polishes that almost looks black, this one has a purple/copper shimmer in it. This was the thinnest of the bunch and really needed the 2 coats. 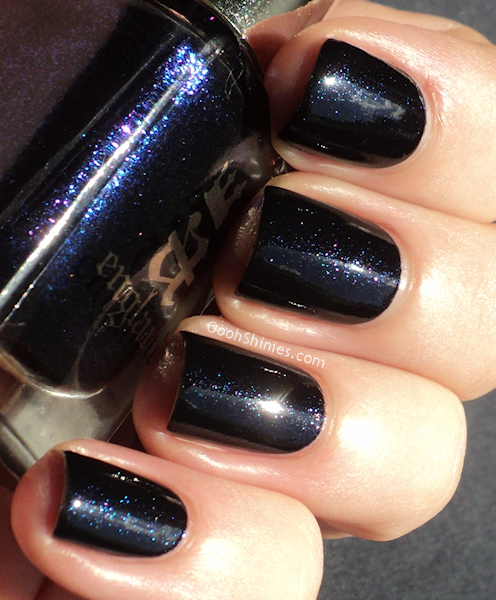 This Lady is almost black as well, but with a finer blue/purple shimmer. 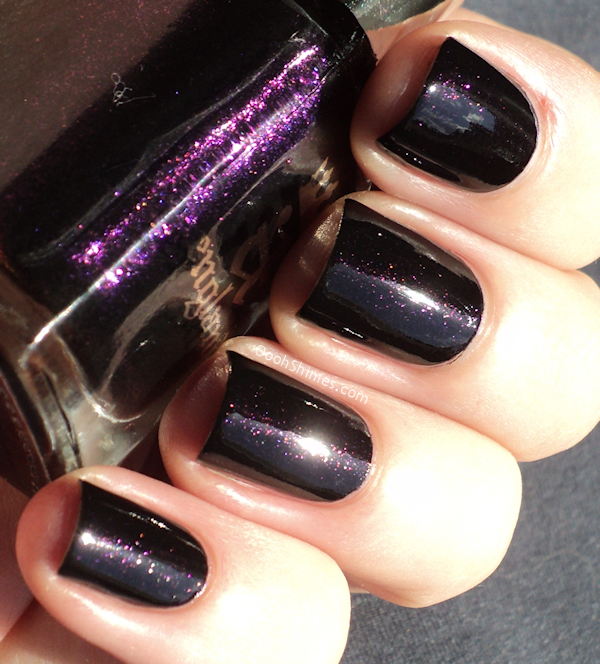 Ophelia looks like the purple version of Jane Eyre, but as you can see, it's not just a purple shimmer but there are several other colors as well. Tess is less black than the 3 above, this one's dark green in all light. Even though it's pretty dark, it actually felt a bit Christmassy! Dorian Gray is the one that's a bit different, the shimmer is a lot finer than that of the other polishes, making it look more like a gunmetal grey with silver shimmer. This one was a 1-coater. 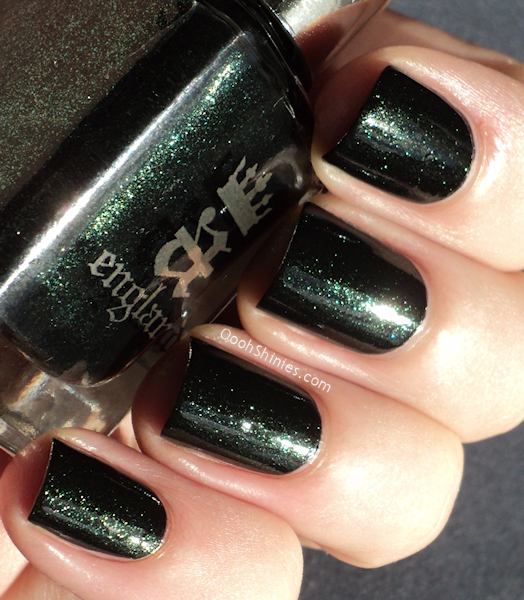 These polishes all have the quality I'm used to of A England, they apply easy and smooth and are well-pigmented. They made my stamping-heart jump! :) I already tried stamping with Jane Eyre, which was the most sheer of the bunch, and that one worked ok-ish. It'll probably work better on darker colors, but I think that the others will all work nicely! 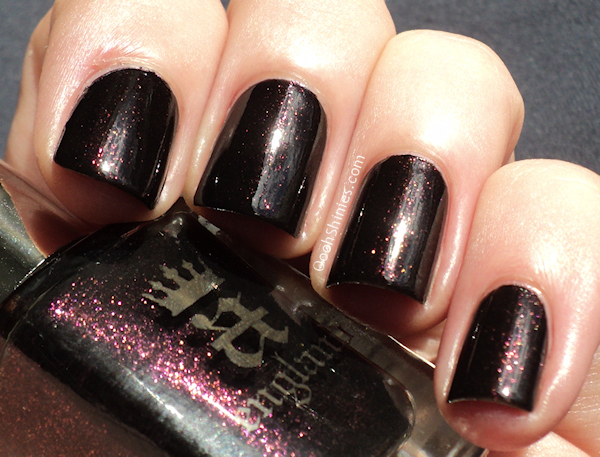 These Gothic Beauties aren't on the A England website yet, but you can order them via email for the time being. The polishes are £9 for 11ml.